What I did not know is that also mountains can play chess. “What we did not know is that the Mountain, in a very clever chess move, shifted its defensive emplacements much lower on its flanks in anticipation of our 2016 assault,” Bill Burke writes. 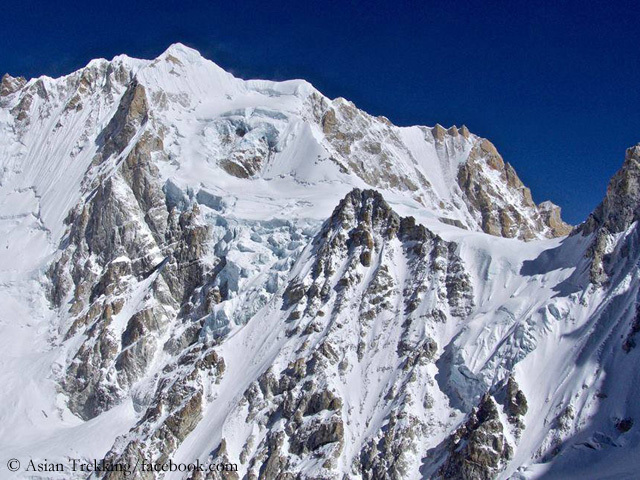 “We were caught completely off guard.” As reported, the 74-year-old American wanted to first climb Burke Khang, the mountain which was named after him. Burke’s first attempt a year ago had failed in the summit area of ​​the 6942-meter-high mountain in the Everest region due to dangerous cornices. Now the insurmountable problems occurred at the lower Southeast Ridge. “My mountain!” Bill Burke can say this, without anyone accusing him of hubris. 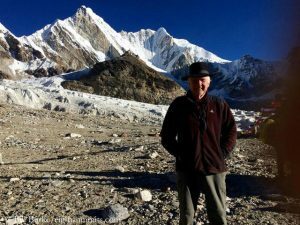 Since 2014, the “Burke Khang” officially exists in the Everest region. 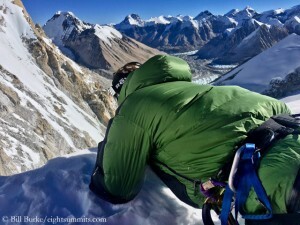 The Nepalese government named the 6942- meter-high mountain in the Gokyo Valley after the US mountaineer. 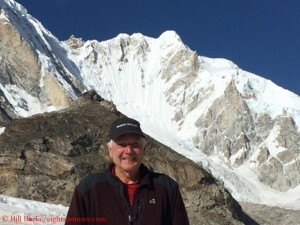 Bill Burke became a climber in the senior age after a successful career as a lawyer. Aged 67, he scaled Mount Everest from the Nepalese south side, aged 72, from the Tibetan north side. Four days before his second Everest coup, the government in Kathmandu announced that the still unclimbed almost seven-thousander near Mount Everest was now called Burke Khang. “I was never given a reason for this generous action“, said Bill a year ago in an interview on the website pythom.com. In fall 2015, Burke tried for the first time to climb the mountain which bears his name. The project failed just below the summit. Now the 74-year-old is taking a new run.